In a small bowl or mason jar, mash the banana well until few or no clumps remain. Add chia seeds and cinnamon. Stir until combined. Add rolled oats, almond milk, vanilla extract, and maple syrup. Stir until all contents are completely combined. 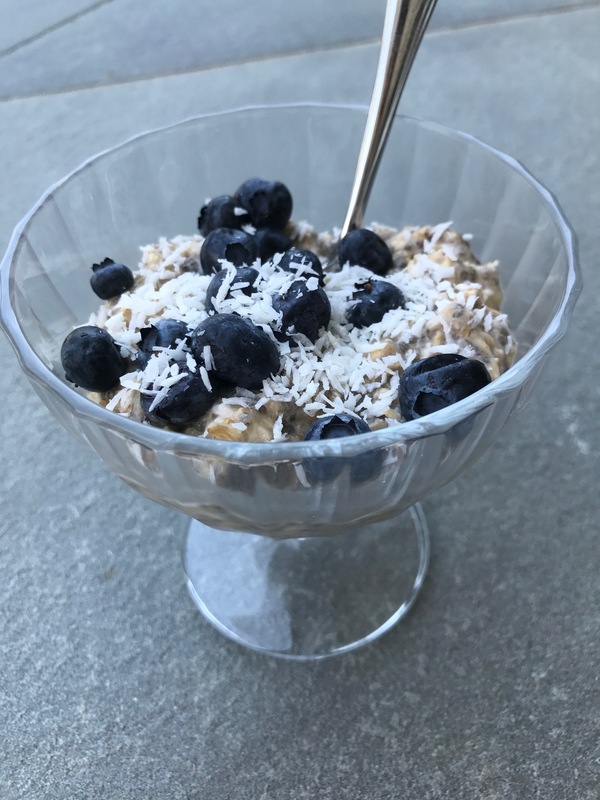 Serve topped with unsweetened shredded coconut and/or fruit of choice. Copyright © Lara Metz Nutrition 2019. All rights reserved.